To capture a good photograph, sometimes you need to look at the big picture. Many other times, the image can be found close up. Here, the Devil is in the details. 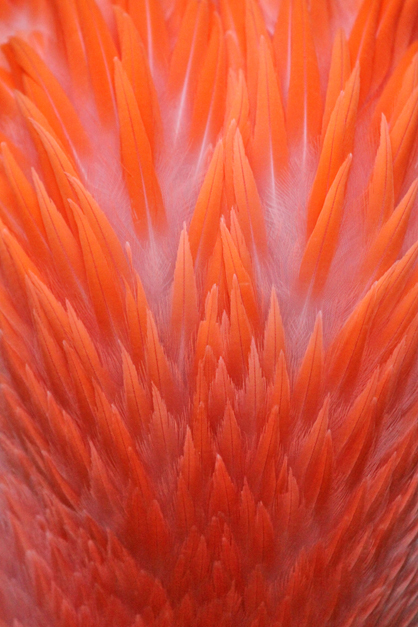 The back feathers of a Caribbean Flamingo rise as if forming a beautiful fire.